From Kishimoto Station, use “Demand Bus” operated by Hoki-cho Town Office (reservations required). You need to make a reservation to take Hoki-cho Demand Bus. 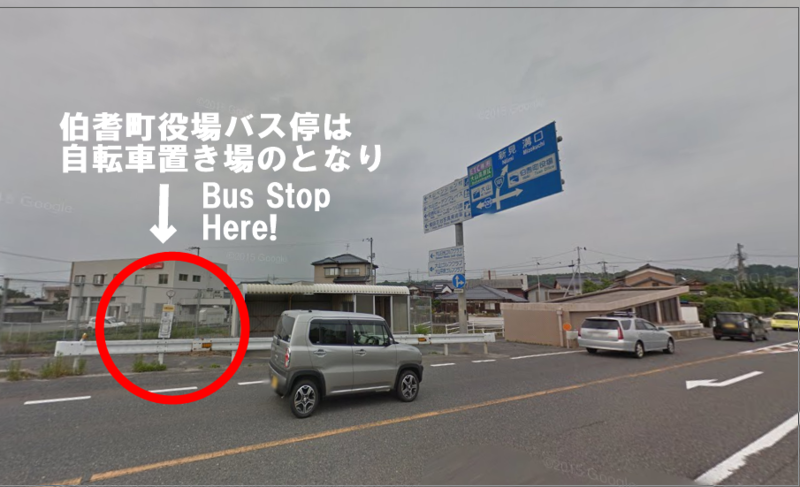 #show(): File not found: "s-IMG_9330.JPG"
#show(): File not found: "auto-gmg8c9.jpg"
Hoki-cho Yakuba Bus Stop is not located in front of the town office, but along Route 181. 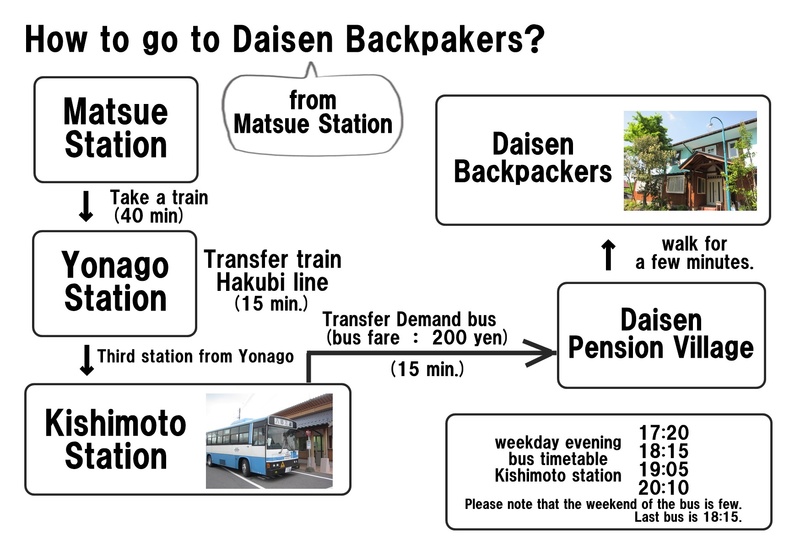 Walk straight from Kishimoto Station (back facing the station) and turn left at the corner of San-in Godo Bank’s Kishimoto Branch（山陰合同銀行　岸本支店）. From there, keep walking straight until you reach Route 181. You will find bicycle parking near the bus stop. Note: Don’t cross Route 181. The bus stop on the other side of Route 181 is for buses heading the opposite direction.